Our mission is to discover and develop innovative therapeutics that preserve and restore brain function for patients at risk for neurodegeneration, to benefit the lives of those patients, their families, and society as a whole. Our pipeline of novel therapies includes multiple candidates to treat patients with neurological and psychiatric disease and is based on decades of research focused on cognitive neuroscience and the neurobiology of the aging brain. Our most advanced clinical program targets amnestic mild cognitive impairment (aMCI), the symptomatic, pre-dementia stage of Alzheimer’s. With this candidate, we believe we will deliver the first and only therapeutic to target hippocampal overactivity and potentially the first therapeutic to slow progression to, and delay the onset of, Alzheimer’s dementia. We are a publicly traded, emerging pharmaceutical company primarily focused on the development and commercialization of our proprietary drug, METADOXINE EXTENDED RELEASE (MDX), to treat cognitive disorders including Attention Deficit Hyperactivity Disorder (ADHD) and Fragile X Syndrome (FXS). MDX is not a stimulant; it works through a different mechanism of action than other ADHD treatments. Alcobra has completed multiple Phase II studies of MDX in adults and adolescents with ADHD and FXS and a Phase III study of MDX in adults with ADHD. 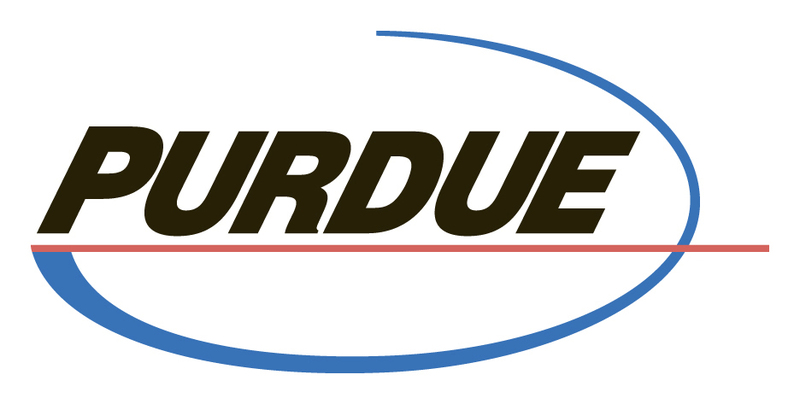 The company is currently conducting a second, pivotal Phase III trial of MDX in adult ADHD. Alcyone Lifesciences was founded in 2010 to address the unmet needs in treatment of chronic neuropathological conditions. For many neurologic conditions including brain tumor, hydrocephalus, epilepsy and neurodegenerative disease, the current treatment modalities are sub-optimal. Alcyone is dedicated to developing biologically inspired and clinically relevant solutions to significantly enhance current treatment modes for patients suffering from these chronic conditions. Anelixis was formed in 2013 and is a for-profit subsidiary of ALS Therapy Development Institute (ALSTDI), a nonprofit biotechnology organization dedicated to developing effective treatments for ALS. In recent years the economics of developing transformative new treatments for patients has become challenging for the pharmaceutical industry. This has resulted in massive restructuring of the pharmaceutical business with significant down sizing in preclinical drug development. In the absence of basic research and drug discovery occurring in pharmaceutical companies both these companies as well as the patient community are now relying on other organizations to drive basic research and early drug development. In order to de risk this early stage of development Anelixis Therapeutics will leverage over ten years of expertise in target validation and lead molecule optimization at ALS TDI. ALS TDI can assist in preclinical proof of concept studies with established in vitro and in vivo assay systems. Anelixis thus has the ability to in license lead candidates generated at ALS TDI as well as to in license third party opportunities and validate these opportunities using ALS TDI’s established infrastructure. biOasis Technologies Inc. is a ground-breaking biopharmaceutical company focused on the delivery of therapeutics across the blood-brain barrier and into the brain tissue. The delivery of therapeutics across the blood-brain barrier represents the single greatest challenge in the treatment of over a thousand common and rare diseases of the central nervous system. biOasis is seeking to address these unmet medical needs with its proprietary Transcend Platform. Designed to transport therapeutics of varying types and sizes across the blood-brain barrier, the Transcend Platform is based on Receptor Mediated Transcytosis, nature’s own method of carrying compounds into the brain. Located in Vancouver, Canada, biOasis is a publicly-traded company on the OTCQB under the symbol BIOAF and on the TSX Venture Exchange under BTI. Cerecor, Inc. is a clinical-stage biopharmaceutical company with the goal of becoming a leader in the development of innovative drugs that make a difference in the lives of patients with neurological and psychiatric disorders. We systematically identify platforms and product candidates for which human proof of concept exists in the intended indication, for either the target or the compound, and for which biomarkers are available to measure therapeutic response. We target conditions where we believe current treatments fail to address unmet medical needs, and where we can apply clinical strategies to increase efficacy signal detection. These strategies include using personalized therapeutic approaches and placebo mitigation techniques to facilitate regulatory approval for our product candidates. Cognition Therapeutics Inc. is focused on the discovery and development of small molecule therapeutics targeting the toxic proteins that cause the cognitive decline associated with Alzheimer's disease and other neuro- degenerative diseases of the human brain. Toxic proteins play a crucial role in a large number of human diseases, and there are currently no therapeutics available to prevent toxic protein accumulation or block their destructive effects. Cognition is founded on the unique combination of biological expertise around these targets, including proprietary assays that emphasize functional responses and proprietary medicinal chemistry that insures novel, high quality small-molecule drug candidates. Empriver has developed and patented an innovative approach to selectively target neurotoxic conformers of pathogenic proteins in neurodegenerative diseases. This selectivity will minimize the possibility of toxic side effects, which have hampered the field. We take advantage of a rare and unique strain of pathologic amyloid, with a non-self sequence. This allows us to pursue active and passive immunization strategies, where antibodies will recognize common motifs in amyloid associated with A-beta and tau, as well as a-synuclein and TDP43, to slow the progression of Alzheimer's, Parkinson's, ALS, and other debilitating neurological disorders. ​Concurrently, we have also developed and patented an approach to induce the innate immune system, via activation of toll-like receptor 9, to clear pathogenic proteins in Alzheimer’s disease. With these unique therapeutic approaches, Empriver is positioned to address one of the most pressing health issues facing the world. Heptares is a clinical-stage company creating novel medicines targeting G protein-coupled receptors (GPCRs), a superfamily of receptors linked to a wide range of human diseases. Our proprietary structure-based drug design platform has enabled us to build an exciting pipeline of new medicines with potential to transform the treatment of Alzheimer’s disease, schizophrenia, migraine, addiction, metabolic disease, and other indications. Our ability to address highly validated, yet historically undruggable, GPCRs has also attracted multiple partners including AstraZeneca, Morphosys, Pfizer and Teva. neurotecnix develops innovative neurotechnologies to diagnose and treat neurologic disorders. With patented technology @ Brown University and Rhode Island Hospital/Lifespan, neurotecnix recently developed a method to measure and quantify pain by decoding neuronal activity. This technology will disrupt major human and animal healthcare markets in which the gold standard for pain diagnosis remains largely subjective and suboptimal. Neurotrope BioScience formed in 2012, is at the forefront of the biotech industry and is focused on developing new therapies with Bryostatin 1 for the treatment of neurodegenerative diseases and developmental disorders. Oryzon is a clinical stage biopharmaceutical company and the European leader in the development of epigenetics-based therapeutics. With one compound in Phase I/IIA in oncology, ORY-1001, a highly potent LSD1 inhibitor with exquisite selectivity that has been granted orphan-drug status by the EMA, a second compound expected to enter in clinical development in 2016 for Alzheimer's Disease and additional programs in other cancer indications, the company has a broad and growing portfolio. Pharmasum Therapeutics is a private, Norwegian pharmaceutical company focused on the discovery and development of novel human medicines for the treatment of brain diseases, especially neurological diseases. The Company shall develop drugs to at least Proof-of-Concept stage, but will be seeking strategic partnerships with larger pharmaceutical companies potentially for early-stage collaborations, late-stage development and marketing. The preferred deal-structure takes form as a co-development partnership, where Pharmasum may reserve rights to marketing and co-promotion in certain territories. The Company shall also be open to non-organic growth through M&A processes. Probiodrug AG is a biopharmaceutical company dedicated to the research and development of new therapeutic products for the treatment of Alzheimer’s disease (“AD”). 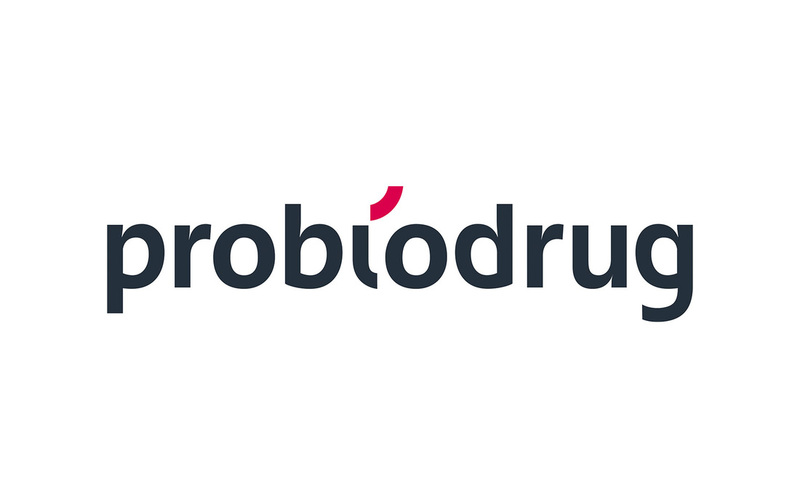 Headquartered in Halle, Germany, Probiodrug was founded in 1997 by Prof Dr Hans-Ulrich Demuth and Dr Konrad Glund and successfully developed a novel therapeutic concept for diabetes – the DP4 inhibitors / gliptins. Today Probiodrug’s aim is to become a leading company in the development of Alzheimer’s treatments and to thereby provide a better life for patients. PsychoGenics, founded in 1999, is a privately held, rapidly growing innovative preclinical CNS service provider. PsychoGenics employees (including ~30 PhDs) have expertise in the fields of psychopharmacology, behavior, molecular biology and informatics. PsychoGenics has an established service business with more than 160 repeat pharmaceutical, biotechnology and not-for-profit, domestic and international clients. PsychoGenics offers over 80 different behavioral tests to phenotype rodent disease models and test drug candidates in the areas of psychiatric and neurodegenerative disorders, pain and inflammation, and spinal cord and traumatic brain injury. We complement our behavioral expertise with other capabilities including electrophysiology, molecular biology, neurogenesis, state of the art microdialysis and a variety of in-licensed transgenic mouse models. T3D Therapeutics Inc. is a privately-held, Research Triangle Park, NC region-based company incorporated in 2013 as a Delaware C corporation. T3D Therapeutics’ mission, as a pharmaceutical R&D company, is to develop and commercialize T3D-959, potentially an optimal disease remedial therapeutic for the treatment of Alzheimer’s Disease and Mild Cognitive Impairment. T3D-959 is unlike most therapies in development that target one defect (i.e. pathology), for example beta amyloid plaques or tau bundles. This orally-delivered once-a-day therapy has the potential to be a transformational therapy by treating multiple defects (pathologies) of AD, including a likely key ‘trigger’ for the disease, insulin resistance. As a dual nuclear receptor agonist, T3D-959 may regulate a myriad of genes involved in Alzheimer’s disease pathologies and thus may offer a greater potential to slow, stop or reverse disease progression. T3D-959 has successfully completed Phase 1 human clinical trials and demonstrated compelling and unique pre-clinical efficacy in an Alzheimer’s animal model. Tonix Pharmaceuticals develops next-generation medicines for common disorders of the central nervous system, including fibromyalgia, post-traumatic stress disorder, and episodic tension-type headache. These disorders are characterized by chronic disability, inadequate treatment options, high utilization of healthcare services, and significant economic burden. Vaccinex is a privately held clinical-stage biotechnology company engaged in the discovery and development of human therapeutic monoclonal antibodies and other targeted biological therapies. A Vaccinex antibody product is currently in clinical trials for immunotherapy of cancer and to prevent or delay the onset of neurodegenerative Huntington’s disease.